It truly is exciting when you first come to the great candy store of product sourcing known as Alibaba. There is a rush when you start aimlessly browsing for the first time, letting yourself get swept up into the sea of possibility. You will see all kinds of products at what seems very low prices that should be able to be sold at a profit. At first everything seems like a valid option. Unfortunately that simply isn’t the case. There are a lot of things to keep in mind while sourcing your products as well as many factors that should go into your decision making process. Exciting as it is, product sourcing is very serious business. In fact it’s so serious that there are companies that make software packages that aid people in that very process, like my personal favorite AMZscout. Recently we have written an article on our blog regarding ROI, net margin as well as various FBA fees, that you can read all about it right here. We also have a video where our lovely Valentina demonstrates how you can calculate those fees yourself using some of our tools. Before you get to a point where you are seriously considering a product and you need to do all of those financial calculations, there are things to keep in mind as you are looking for your first product. If you are just starting out you should be aware of the fact that as you start selling, there are going to be things you can only learn through experience. You are bound to make some mistakes. The following guidelines are not something you can call strict rules to stick too while deciding on a product, however, as a beginner you will be less likely to make a big mistake by keeping these things in mind. The first thing you should avoid as a new seller is sourcing a product with moving parts. This means that you should avoid things that depend on any complex mechanics or electrical wiring. There is a number of issues you can have with products that are more mechanically complex that would make things difficult for a beginner. It’s not that it is a bad idea to sell such products, or that you cannot make a profit on them. The fact of the matter is that it would be best to try to tackle such products once you mature as a seller, or at least have a way to make sure those products go through proper quality control. Let’s say that you have reason to believe that you could sell this chandelier for $60 per unit on Amazon.com, which considering the manufacturing price, would give you a decent profit. Now what is the difference between selling this product or, for example, some rubber children’s toys? What exactly are the risks involved? - The manufacturer has more room for error - You might get a great shiny flawless prototype that works awesome. You might then make an order of 200 units only to discover that are not of the same quality. To be fair this is a risk with any product you might source from China, however since Alibaba came along manufacturers are being held accountable for these discrepancies. They have way too much to lose if they get a bad review or if they get banned on Alibaba, so scams have gotten pretty rare. The problem is that even though you are unlikely to get scammed, the fact remains that the product is made of delicate parts. Things made of delicate parts have a higher chance of being manufactured or handled incorrectly since they are more delicate.This is of course true for any product, but if you have a lot of wiring and moving parts, a small error can cost you a lot more. - Being damaged during transport – Let’s think about the delivery process. Let’s pretend we are sourcing from China and selling it in the US using Amazon FBA. It has to be neatly packaged into the boxes before it gets put on board a plane or a ship. Now there is a chance that a customs officer will examine the packages containing your chandelier or maybe a package next to it where it will have a chance to be dropped or mishandled. It then has to travel to the FBA warehouse where it’s handled once again to be stored. Then again it is handled when it gets picked up and delivered to a customer. You wouldn’t be too worried of anything happening to a plastic children’s toy; the chandelier on the other hand… It doesn’t sound smart to hope that thousands of them will go through that process and that they will not be damaged the vast majority of the time. -Getting returns – If we assume that your chandelier has made it safely onto the doorstep of your Amazon customer you would think that there is nothing to worry about. Well, even if your product arrives in a perfect functioning condition you might still get a return. The problem is that Amazon has a 30 day no questions asked return policy that in any and every instance they will take the side of the customer rather than the seller. What that means is that if your customer breaks the chandelier within 30 days they will be able to return it and get a full refund from you. Since you have a product that has moving parts and that has to be handled with some amount of responsibility, it is more likely that it will suffer some damage in the first 30 days. In other words, a customer can get a perfectly functional product and break or damage it by being irresponsible, only to return it for a full refund without any consequences. Giving the money back isn’t the part a seller should worry to much about, the more returns you get the lower your rankings are. Amazon’s A9 algorithm pays attention to returns very carefully and adjusts your ranking accordingly. Of course there is a way of doing this in such a way where you avoid many of these risks and make a great profit on selling these types of products. Everything is made in China and shipped into the US, things like: smartphones, tablets and computer components etc..Plenty of companies and individuals sell them and make a profit. Therefore it is obvious that it can be done, however it requires a higher level of engagement. Most people that sell mechanically sophisticated or electric products make sure to find their own independent quality testing facility that would ensure the quality and the durability of the products. They also experiment with different packaging methods to ensure that the risk of damage during transport is minimal. The point is that products with moving parts are usually not a good idea for beginners, but they can potentially be a great idea for mature sellers that have a larger operation and more resources to invest. -You don’t know what the rest of the container is going to be filled with –If you decide to transport your product via ship and you don’t have enough products to occupy the entire space of the container, you are going to share it. You might be sharing it with many other items that can be literally anything. This can cause problems for you. You might share a container with items that need to be specially examined by the customs officers which can delay its final delivery. Also the fact that you are sharing the container with other items means that you might get some issues with loading and unloading which can damage your products. You might be thinking that you can order enough products to fill out a container and save a ton of money on transport. So, how big is a standard shipping container? It’s 8ft(2.43m) by 8.5ft(2.59m) by 40ft (12.2m). Let’s just say that people build houses in them. -It takes forever to get there-The average travel time for a container vessel from Asia to North America can take anywhere between 17 and 33 days. This doesn’t include loading and unloading, so you might be in a position to be waiting for your products for 2 months or more. For a starting seller this is way too much time to be spent waiting to launch your product. If nothing else, the conditions on the market might change from the moment you find your product; to the moment you launch it. A good idea might become a bad one in that time period. On the other hand, transporting by air only takes a few days. It is unwise for a beginner Amazon seller to start off by buying a container full of products and send it via ship. Therefore it is preferable to stick to products that don’t weigh too much or take up a lot of space since they are going to be sent by air. So if you see some really cheap dumbbells, heavy equipment or furniture and think you found the product for you, make sure you calculate your transportation costs before making your final decision. You can visit websites like worldfreightrates.com to get an estimate of how much it would cost to transport your products. 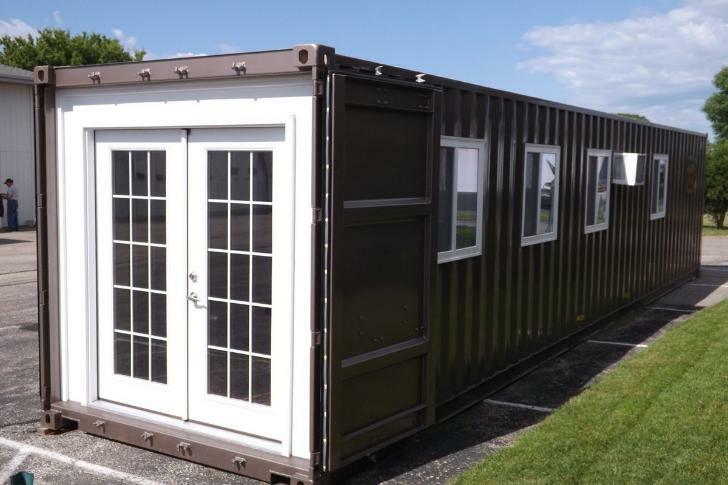 On the one hand, once you graduate to growing your business to a point where you can fill an entire shipping container, your costs are going to plummet. 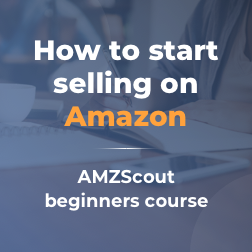 All Amazon sellers are hoping to reach that point and are very much looking forward to getting there. Of course just being confident enough that a large number of your products are going to sell so that you order an entire shipping container is one thing. Not going out of stock by the time they get there is another. So there is a great deal of things to learn before reaching that point. Keep in mind that sea transport is so cheap that a fishing company from Scotland ships their fish to be cleaned in China and then ships it back to Scotland. That should tell you how cost effective it is. You can certainly see why people look forward to getting to that point, it truly is one of the great milestones for an Amazon seller. -Extremely low organic ranking - If you enter a market where there are thousands, if not tens of thousands, of competing products, your organic ranking on your primary keyword will be incredibly low. Let’s take the t-shirt example. Let’s say that you have a t-shirt design that is green and it has some animal on it (a snake for example). You might be in the first 3,4 pages on the keywords like “Green t-shirt” and “Snake T-shirt” fairly quickly. However, it might be months before you can actually type “t-shirt” in the search bar and manage to find yourself on page 25. Even if people buy your t-shirt and like it, you will have a very hard, very costly battle to get exposure. -Large PPC costs – As mentioned above you will need to do anything you can to get exposure, which on Amazon primarily means investing in PPC. Since you are starting all the way at the bottom it might take you months before you get a decent organic ranking based on your sales volume and reviews.This naturally means you will be forced to constantly spend on PPC. Another important factor is that the bids for some high search keywords are going to be extremely high, possibly 1.5$ per click. This is what happens when you have thousands of people bidding on a keyword that gets searched millions of times monthly. So in order to get exposure you are forced to spend a lot on PPC consistently for a very long time. This is unless you have some ways of promoting your product outside of Amazon. -Hard to break even- It is only logical to assume that based on what is written above you will be having financial difficulties by launching a product on a saturated market. Assuming that your product is actually good and superior to its competitors it might still take you months or even years to break even. Break even point means that you have come to a point where you can actually take some of your revenue for yourself without investing it in producing additional units. With the large amount of money spent on PPC, along with the fact that in highly competitive environments it’s unwise to have a higher price, you won’t have a much room for profit. However, if you truly believe that your product is excellent and that you are confident that you are able to present it as such, you might want to enter a highly competitive niche. The reason is simple, if you manage to get to be on the first page for a keyword that has millions of searches monthly, you are going to be making an absurd amount of money. So this tactic might not be such a bad idea if: you are willing to sacrifice the short-term for the long-term, you are able to afford the cost of PPC and are ok with the inability to collect your profit for a long time. Thinking in such terms is something that some of the worlds greatest business people do, they sacrifice the today for the tomorrow. We can see that these 2 blankets have a daily average of 12 and 13 sales which would actually make this market pretty competitive. We know that it would take a lot to get from 0 to over 12 or 13 sales a day. So, if you wish to be in a position where you won’t have to struggle a lot to get to page 1 on your most relevant keyword, I suggest you pay attention to this. You might even get lucky and find some type of product that’s in high demand with only a handful of competitors, starting you off on page 1. In summary, these were simply some guidelines that can help you out if you are searching for your first product that will help you avoid some common mistakes. The important thing is that these are not rules, just suggestions. I’m certain that there are plenty that didn’t follow some, or all of these suggestions and still did extremely well. Ultimately, whatever product or approach you decide to take it’s going to be up to you. Who knows, you might come up with a strategy that no one ever thought of and prove me horribly wrong on every single one of these points. Either way, good luck sellers!